Olympic pin trading is an unofficial sport of the Games, and in PyeongChang this longtime five-ringed tradition has taken off like a full-speed ski jumper. 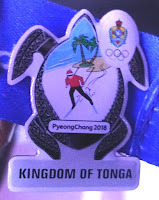 Whether collectors seek Korea's sponsor pins, 2018 media badges, national Olympic committee (NOC) treasures from athletes of competing nations or more generic local organizing committee and volunteer pins, there's something for everyone and everyone seems willing to exchange across all corners of the Olympic venues, Main Press Center and Olympic Parks in PyeongChang and Gangneung. There's even robust trading opportunities, I learned, in the main Gangneung Station and spectator park-and-ride lots. One of my best 2018 trades so far was at the team competition of figure skating, where Mirai Nagasu walked up to me in the press mixed zone after winning bronze. She reached out and pointed to my blog pin and asked for it! Later in the week, TODAY Show host Hoda Kotb accepted a pin in exchange for a selfie. Sweet! 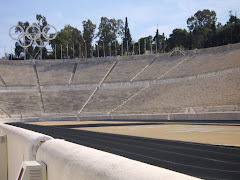 I started pin trading, sort of, during the national championships what is now named Odyssey of the Mind (formerly Olympics of the Mind), a creative competition for elementary and junior high school students. One of my favorites from that era of my youth was an Expo '86 pin promoting the World's Fair in Vancouver, then as far away from Oklahoma as I could imagine. Fast forward to Calgary '88 and the winter Olympic pin trading magazine feature that ran in Sports Illustrated. I got hooked big-time, and as a volunteer for U.S. Olympic Festival '89 in Oklahoma City, my Olympic pin collection got going with free Seoul pins from mail-order coupons in the Sunday newspaper. Thousands of trades and hundreds of Ebay sales later, my core collection now includes about 10 fabric pin books, five framed sets and badges spanning the 1930s to present. 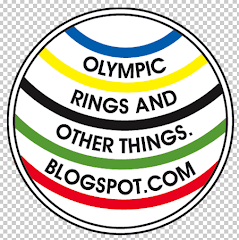 My specialty is Olympic bid pins followed by NOCs and media pins -- or pretty much any pin I think is high quality and easy on the eyes. My rarest find, by far, is a hand-made Rome 1960 pin carved on a shell from the beaches near the sailing venue and Mount Vesuvius "steaming" out five Olympic rings. Found it an an antique store in Mankato, Minn., during college and cannot wait to visit that part of Italy someday to see if some little family-owned gift shop as a trove of these beauties. Here in PyeongChang my favorite trades were exchanges with officials and athletes. For our third conversation in as many Olympiads, HRH Prince Albert of Monaco (IOC member) presented me a Team Monaco pin in exchange for a blog pin. 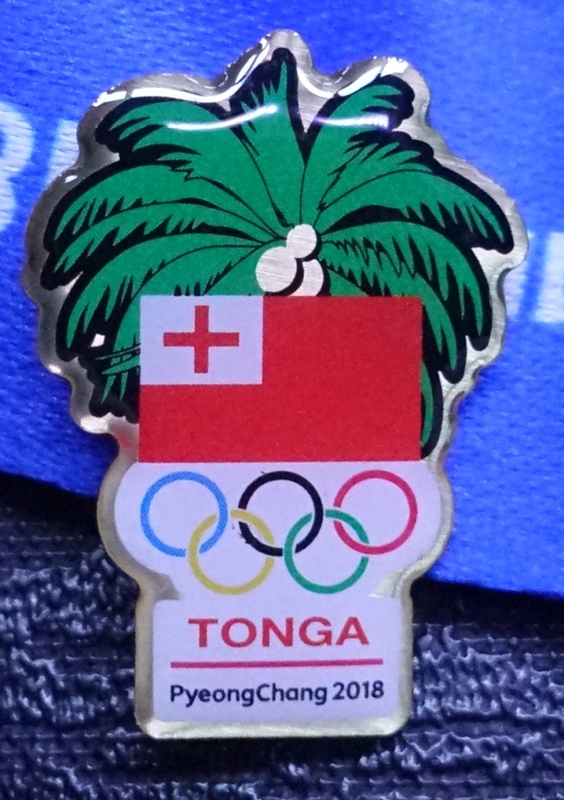 Mister Tonga's team generously shared several pins (two designs as shown with this post) as did Nigeria, Lichtenstein, Jamaica, Finland, Luxembourg (a tiny pin) and several other NOC athletes in the Olympic Village. On the media pin front, Reuters created three large pins in green, red and yellow to represent 'Citius-Altius-Fortius' and faster-higher-stronger trading. Several Japan media pins are proving to be difficult acquisitions, as is the large Sports Illustrated pin featuring a colorful pagoda. The Associated Press, I am told, made pins but they remain in someone's stateside (a pin-headed blunder if there every was one). 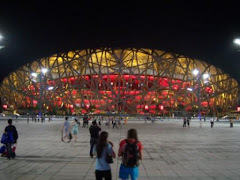 Building upon its sponsorship tradition of London, Sochi and Rio, the Samsung pavilions in the Olympic parks and MPC feature a pin-earning opportunity. For each interactive activity visitors explore to learn about Samsung products, guests may earn one of 20 free pin designs featuring winter Olympic sports disciplines and icons of the host nation. As in previous Games, once collectors secure their first five badges, they earn a free display board. 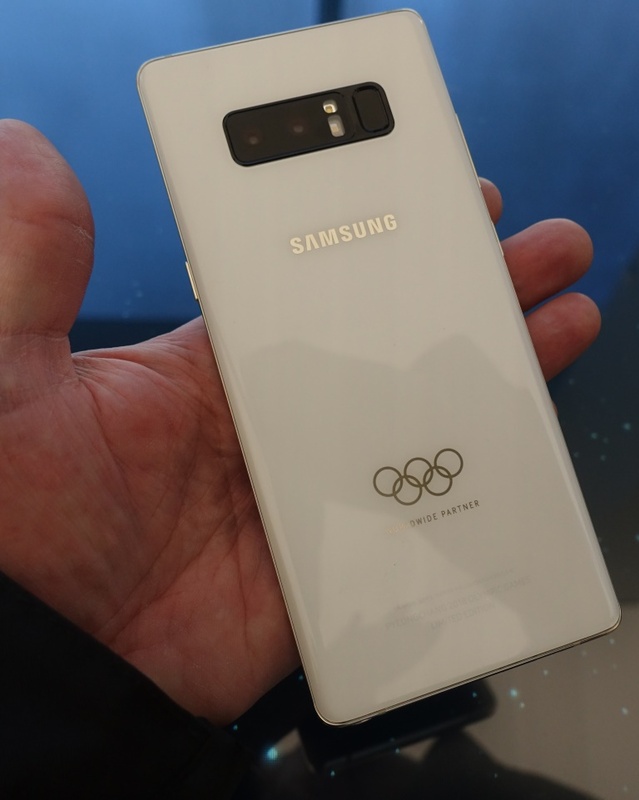 And for the few who fill a board, they have an opportunity to take home a rare Samsung Worldwide Partner Galaxy Note 8 featuring the Olympic rings. The last time I fell in love with a mobile phone was the Galaxy Note 3 in Sochi, and the Note 8 was also love at first touch (so light, so delicate, so powerful). Must ... get ... Note 8! 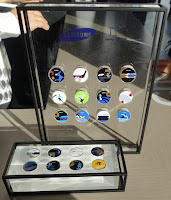 In the Samsung at Gangneung Olympic Park, the interactive options to secure points and pins, are very cool. 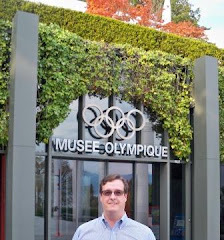 Visitors should be sure to look at all of the museum display Olympic torches and pins from 1998 Nagano to 2016 Rio, then pose for a photo holding the classy white porcelain 2018 torch design. 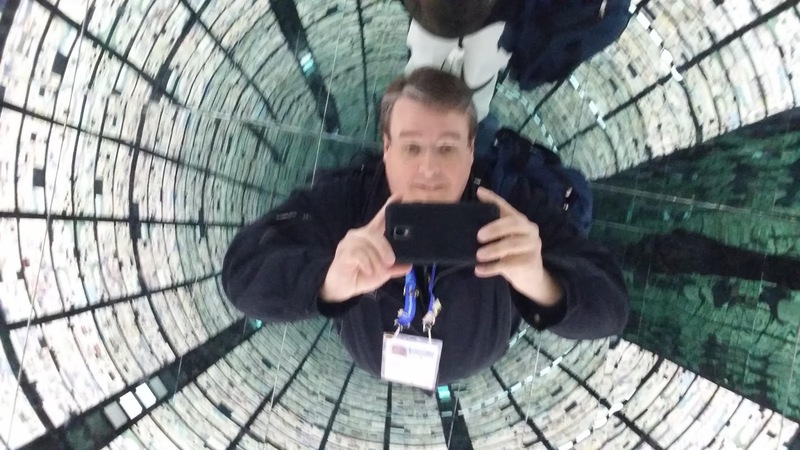 There's also an Infinity Room experience in which guests may project their Instagram photos and descriptions set to music, and another area to put a selfie into famous works of art or local sports venues. 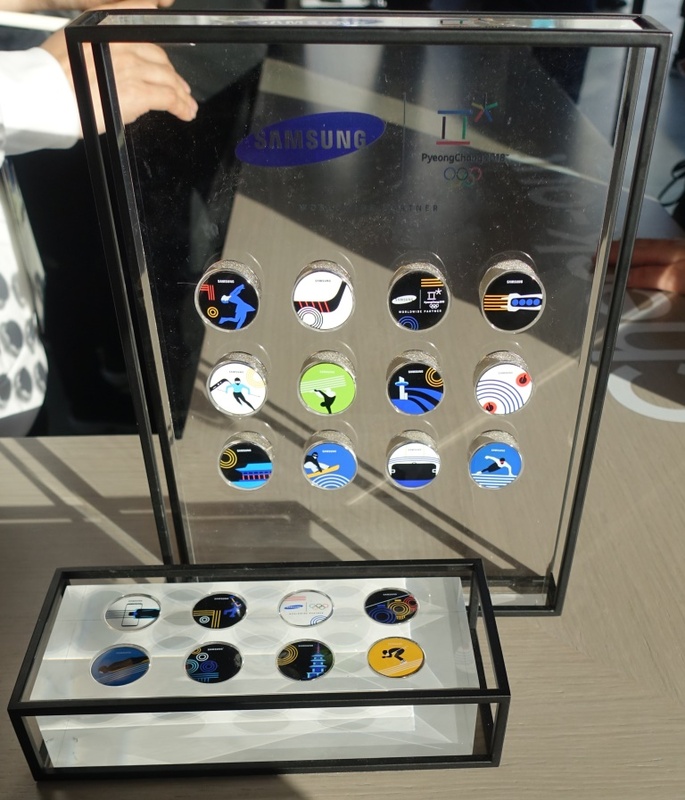 I have a couple of media questions in to Samsung: First, how many of the PyeongChang contest pins exist, and second, why not include the Olympic rings on more of the designs. 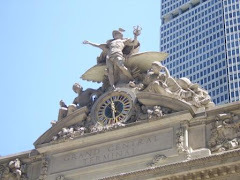 Their New York-based public relations counsel is looking to the answers (stay tuned for updates here). 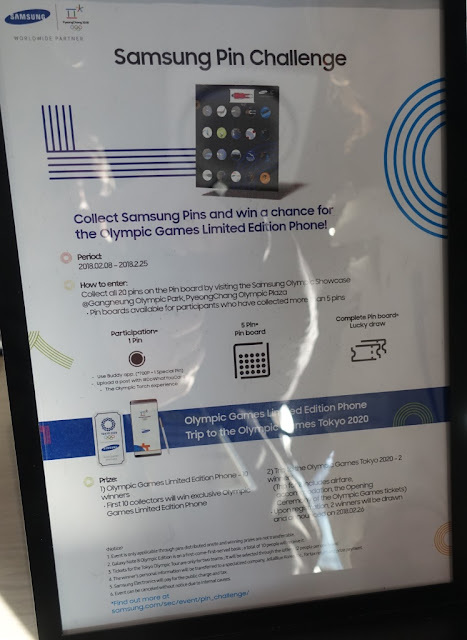 Other sponsor pavilions seem to be generous with their pins at this Games, with designs from new TOP sponsor Alibaba Group, as well as PyeongChang suppliers The North Face, Toyota and Coca-Cola opting to give our pins for free. A fancy-schmancy set of mascot pins comes in the form of a thick plastic mascot pin in which a VISA credit card chip is embedded. 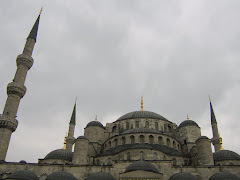 Load up your pin with W100,000 or more (about $100US) and scan it anywhere VISA is accepted (I bought mine at the MPC then used the funds at the Super Store in Olympic Park for the win, er, pin). 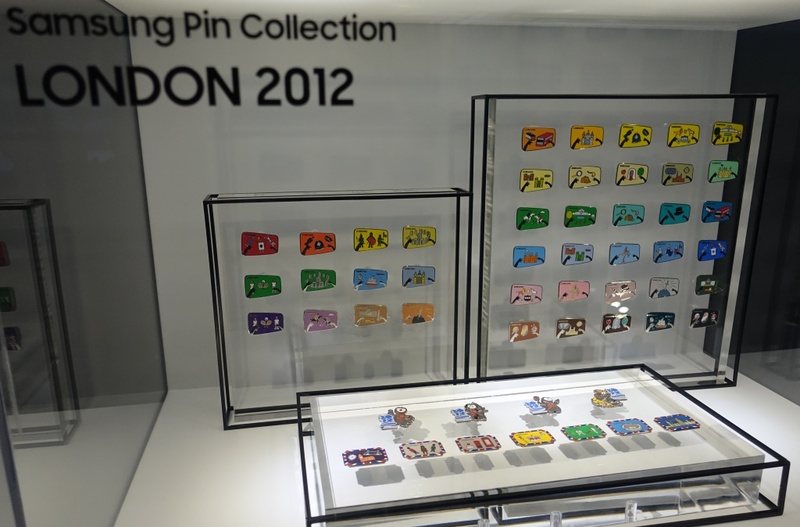 Coming back to Coca-Cola pin trading, the longtime pin hobbyist partner opted to create only one small version of an Olympic pin trading centre at this Games. 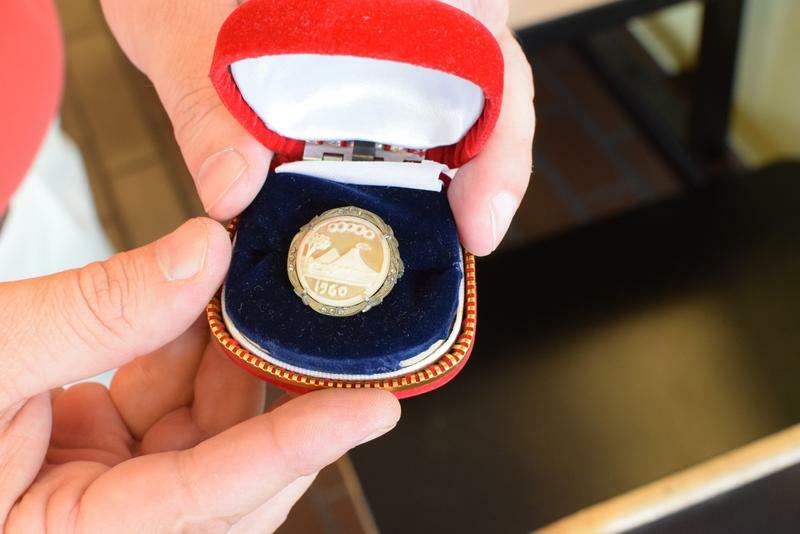 Nestled along the south end of the Gangneung Live Site, about five to seven volunteer collectors man the trading area in one half of the centre, while visitors enjoy a peek at pin collecting history and etiquette chatted up by Coca-Cola employees in the adjacent room. Brisk business seems to be underway in the centre each time I stopped by (twice so far). 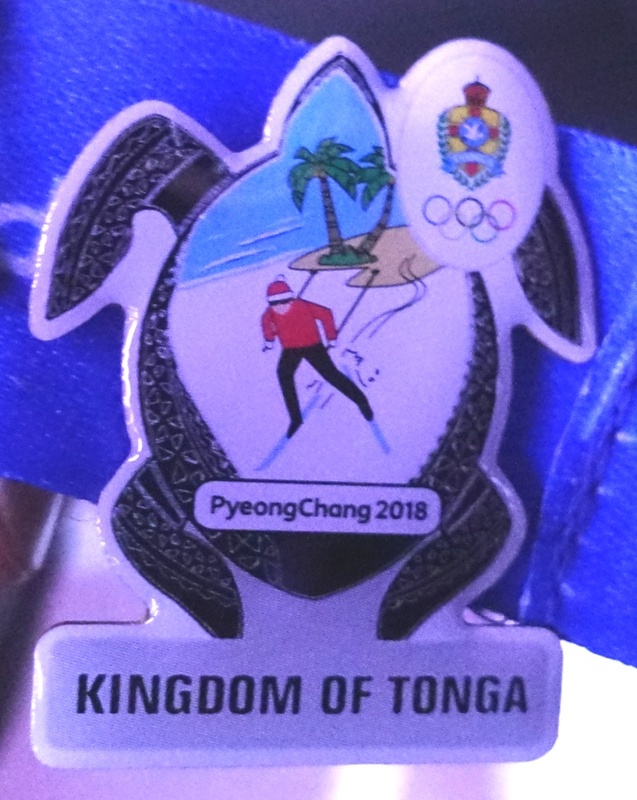 For those not in South Korea, there's a new option to showcase personal collections or keep up with the action and emerging pin designs spotted in PyeongChang. Tucker, Ga.-based Pincentives created a new online "Collector Dash" platform -- "an organized encyclopedia of pins" -- and app the company is beta testing during PyeongChang 2018. Users sign up for a free account then have the option to upload a pin photo from their mobile phone "in the field" or via their laptop when the collecting day is complete. 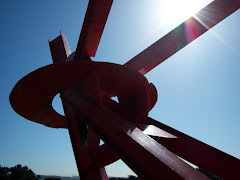 I put the new Pincentives.com features to the test last week and found the site generally easy and fun to navigate, and some 347 of the 2018 designs popped up on the site so far, indicative fellow collectors and Olympin members may be enjoying the test phase as did I. My mission by next Sunday is to unload all of the 500 or so remaining traders packed in my Olympic luggage, and to return to Atlanta with more PyeongChang pinventory than any recent Olympiad. Also on a hunt to earn a POGOG staff pin from an employee of the local organizing committee (do they exist?) or a volunteer Swatch watch.